Public security minister notifies police chief Roni Alsheikh that his tenure will not be extended an additional term. 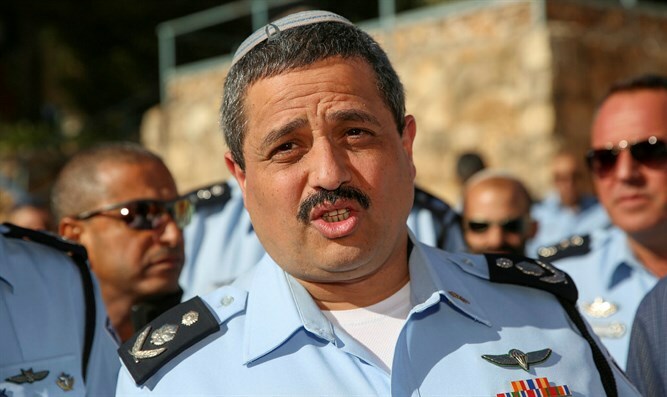 Minister of Public Security and Strategic Affairs Gilad Erdan met with Police Commissioner Roni Alsheikh, informing him that he had decided that Alsheikh’s tenure as commissioner would not be extended an additional term, and would end as scheduled, in December. Minister Erdan thanked the commissioner for his service for the security of the country and its citizens, noting that during the tenure of the police commissioner, Israel Police had grown stronger and undergone important changes and processes that have improved its functioning and capabilities. Erdan will convene a press conference in the afternoon to present the final candidates from whom he will choose the next police commissioner. The commissioner was asked in recent days about his continued tenure and said that "It is not healthy for an organization not to know what will happen in another three months." Alsheikh referred to the uncertainty at a Bar Ilan University conference about his next job, saying that "I act as if I have twenty more years, that's my attitude." He refused to comment on the candidate to replace him: "It is not true that I will not address the matter before they inform me of the continuation of my term, and even then I will present my position before decision makers."